By early to mid 1975, the Canadian Prog trio Rush already had two albums under their belts (Rush and Fly by Night). Their debut (simply entitled Rush) did ok by record company standards but Fly by Night was a little different. They (the band's record label) were not too thrilled about it. Their record label was not buying the music that they were making as they pretty much wanted Rush to be a top 40 radio hit rock band. The band did not want to as they simply refused to conform to their record company demands. We then got yet another "odd recording," Caress of Steel was the result. With 1975's Caress of Steel, the band had pretty much arrived at a low point (in terms of sales and reception from critics and the record company). It was not doing so well. They even half-heartedly and jokingly dubbed their Caress of Steel tour the "Down the Tubes tour." However, it was not the case with everyday people listening to the band's music as the band was also gaining somewhat of a devoted and loyal following (this didn't become as evident until the next album). This album has tended to be somewhat of a divider between Rush fans though. Some love it, some hate it. How do I feel about it? Let's see. 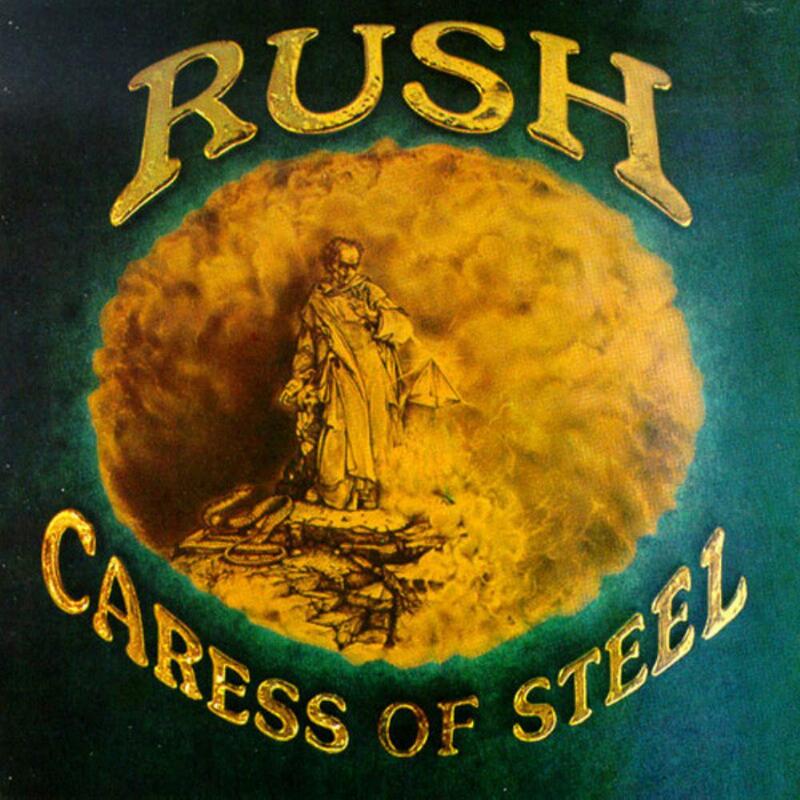 On to the actual review of the recording, 1975's Caress of Steel. Now we get to the most controversial part of the album. The part where some tune out. For me however, it's what makes the album quite an experience. On with the following 2 tracks no?? Overall, despite what the band says about it and despite what the record company and critics say. I find it to be an ambitious work of art that should be in everyone's prog collection. Highly recommended especially for those who like heavier progressive music. 5 stars! !